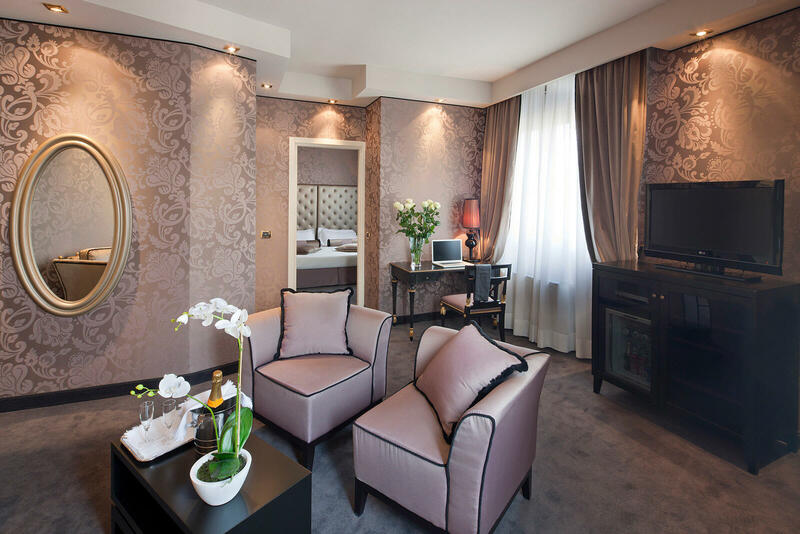 Located in the Milan city centre, just 600 metres from Milan's trade show center (Fieramilanocity) and close to San Siro Stadium (Meazza Stadium) and an array of tourist attractions and historical sites, 4-star Hotel Mozart is the perfect choice of hotels in central Milan for both business and leisure travellers. 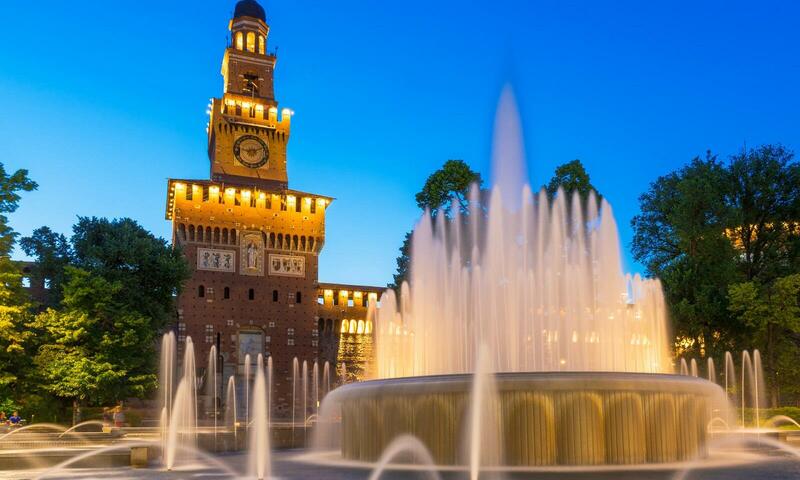 From here, there are many cultural sights that can be easily reached on foot, including Sforzesco Castle, Sempione Park and the Triennale Museum. The Duomo (the Cathedral), Navigli, Church of Santa Maria Delle Grazie and Leonardo fresco last Supper, navigli and brera district and many other charming and interesting Milan attractions are quickly found by tram or metro. 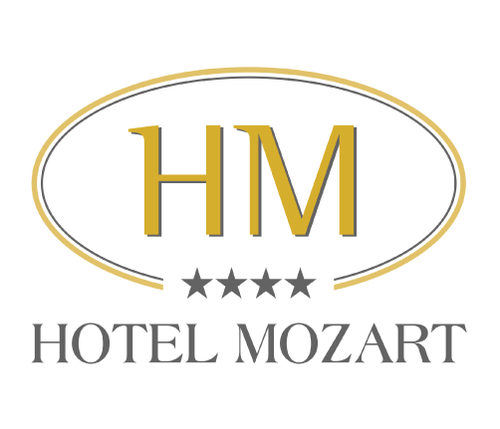 The area where Hotel Mozart is located is famous for its diverse restaurants, serving meat or fish, pizzerias, pubs and cafés. It’s also known for the abundant high-end shopping streets, starting with the exclusive Corso Vercelli. The neighbourhood street market held every Tuesday and Saturday in the streets around the hotel (Mercato Fauché) is also worth a visit to walk among the booths and find some unique and unobtainable item. 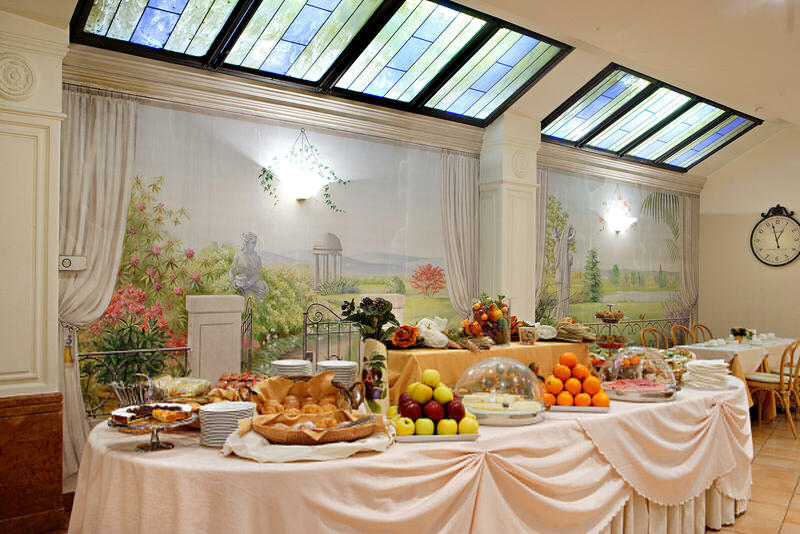 When planning what to do in and around Milan, the Hotel Mozart staff is happy to provide suggestions and recommendations while also assisting with transportation and arrangements. Take the Viale Certosa – Centro città (city center) exit, towards Piazza Firenze. Take Corso Sempione, keeping to the right roadway and then turn left on Via Poliziano. Take Via Poliziano and then turn on the second street on the right, where you will find Piazza Gerusalemme and Hotel Mozart. Take the Piazzale Corvetto exit and head towards the overpass (cavalcavia). When you arrive at the traffic circle, take the last exit on the left. Turn on Corso Lodi (the first on the right) and then go past Piazzale Lodi to take Viale Isonzo. Take the Circonvallazione esterna until Viale Certosa. From the Central Station, take the subway line 2, green (direction Abbiategrasso) and get off at the P.ta Garibaldi FS stop. Then take the line 5, purple (direction San Siro Stadium) and get off at the Gerusalemme stop. From P.ta Garibaldi FS, take the line 5, purple (direction San Siro Stadium) and get off at the Gerusalemme stop. From Cadorna FN, take the Train S4 Direction Camnago-Lentate. Get off at the Domodossola stop. You can then enjoy a short walk to the hotel or take the line 5 purple (just 1 stop) and get off at the Gerusalemme stop. By "Malpensa Express" train (get off at Cadorna station). From here take the subway red line-M1 (direction "Rho Fiera Milano"), get off at "Lotto-Fieramilanocity" stop, take the purple line-M5 (direction "Bignami - Parco Nord") and get off at "Gerusalemme" stop. By "Malpensa Bus Express" and "Malpensa Shuttle Air Pullmann" buses, get off at Lotto-Fiermilanocity stop. From here the hotel is easily reachable on foot or by underground (take the purple line-M5, direction "Bignami - Parco Nord", and get off at "Gerusalemme" stop). By "Air Bus Linate-Centrale" bus that stops at the Railway Central Station. From here take the subway yellow line-M3 (direction "Comasina"), get off at "Zara" stop, take the purple line-M5 (direction "San Siro") and get off at "Gerusalemme" stop. By bus n. 73 you will arrive near Piazza San Babila. From here take the red underground line-M1 (direction "Rho Fiera Milano"), get off at "Lotto" stop, take the purple line-M5 (direction "Bignami - Parco Nord") and get off at "Gerusalemme" stop. By "Orio Shuttle" directly from the airport to Milan Railway Central Station. From there take the subway yellow line-M3 (direction "Comasina"), get off at "Zara" stop, take the purple line-M5 (direction "San Siro") and get off at "Gerusalemme" stop.